Inaugurated in 1969 as "sozialistische Höhendominante", the TV-Tower on Alexanderplatz was meant to be the second tallest tower after Moscow’s. It was a symbol for the socialist East Berlin, former capital of the GDR (German Democratic Republic, 1949 - 1990) - a promising futuristic tower that could be seen far into the West. Today, the TV-Tower is still as popular as it used to be, but it has taken on a different significance. In the 90’s it became the emblem of Berlin’s new young and international cultural scene. 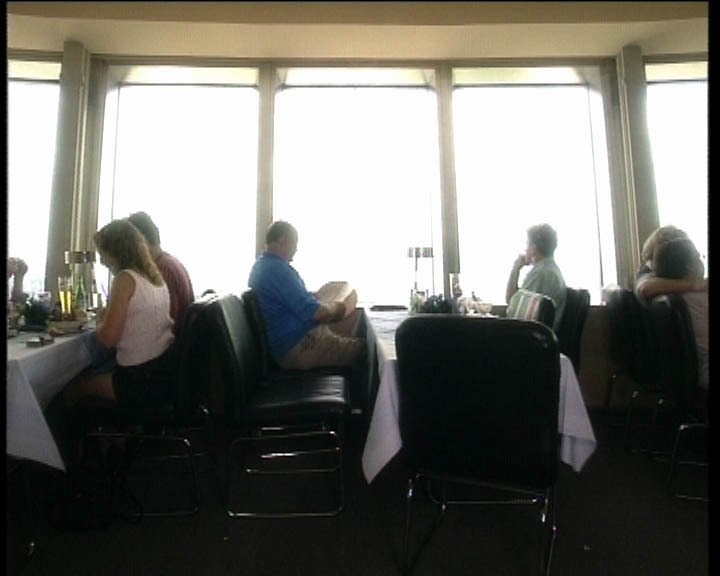 Throughout political turmoils, its chief attraction remained the rotating restaurant at the top of the tower. Revolving with a speed of 1 turn per hour during the GDR times, it was speeded up after the German Reunification in 1990. With the introduction of western capitalism and its new values, the nucleus of the TV tower adopted a 200% faster rotation so as to spin by a rhythm of 30 min. per turn. 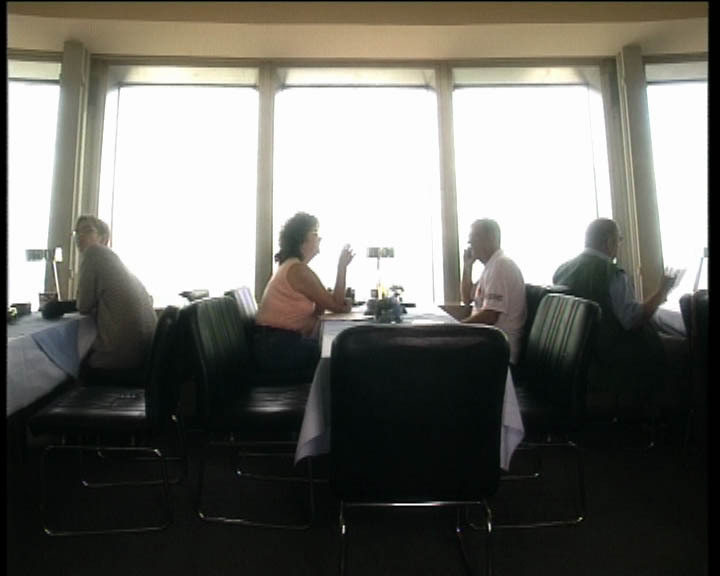 This upgrade is not only time-saving – to get a quicker look at the city below – it also allows a rise of the café consumptions, as the average guest stays one full turn on his seat. 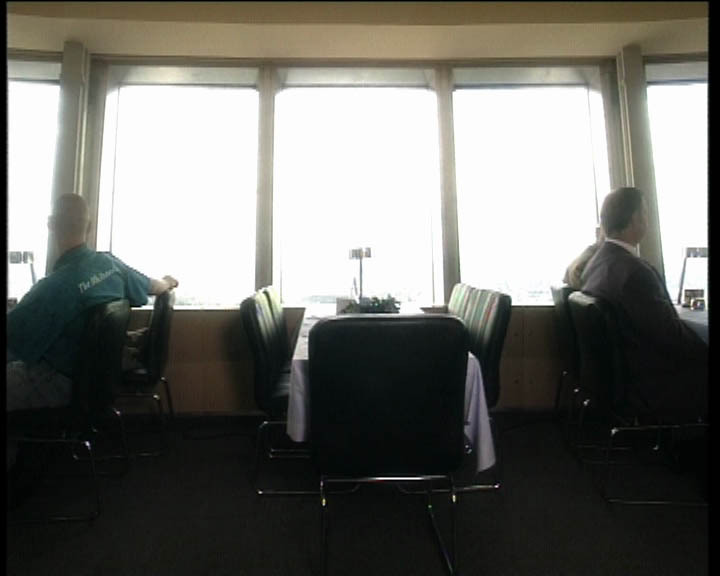 "For our video work Fernsehturm – Panorama Berlin, we used a fixed camera to film one rotation of the restaurant. 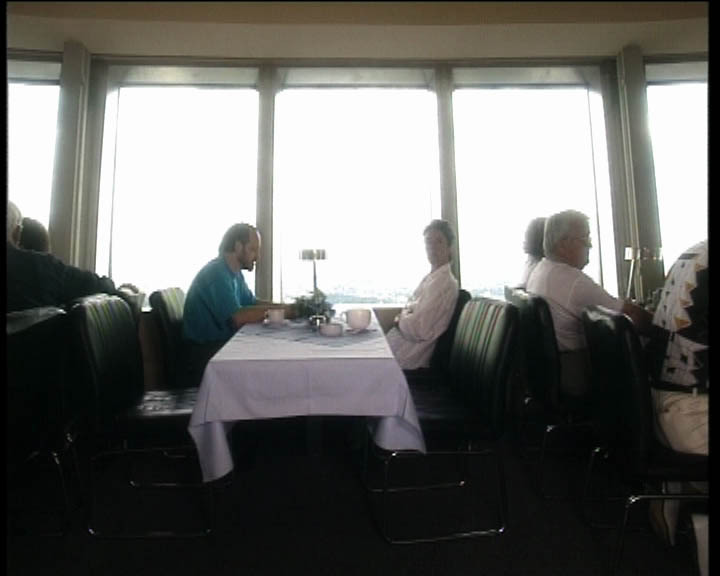 We reduced the actual speed back to 60 min., the original duration of a turn of the TV-Tower restaurant before the fall of the Wall. As the camera denies us all the expected panorama views, we focus instead on the citizens and visitors inside the rotating bubble. The quaint events of the café on a cloudy Berlin afternoon are passing by in some uncanny sort of slow motion. Perhaps does it reflect our own nostalgic imagination – a past GDR seen from the point of view of a speeded up society."